Too many marriages end when someone says "I've fallen out of love with you" or "I don't love you anymore." The Love Dare discusses how these statements reveal a lack of understanding about the fundamental nature of true love. 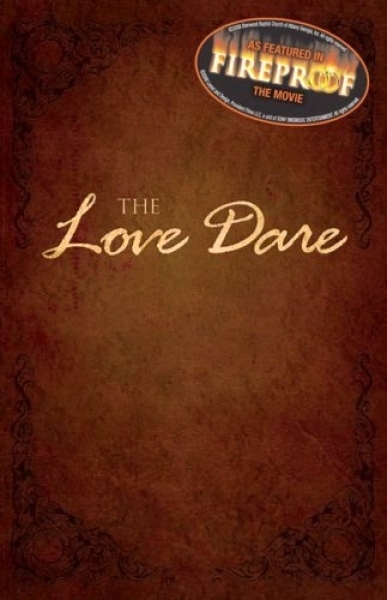 As featured in the popular new movie Fireproof, from the team that brought us the #1 best selling DVD Facing the Giants, The Love Dare is a 40-day guided devotional experience that will lead your heart back to truly loving your spouse while learning more about the design, nature, and source of true love. Each reading includes Scripture, a statement of principle, the day's "dare," and a journaling area and check box to chart progress. Dare to take The Love Dare, and see your marriage change forever. Stephen Kendrick is a senior associate pastor of preaching at Sherwood Baptist Church in Albany, Georgia. He helped establish Sherwood Pictures in 2003 and has served as co-writer and producer for each of its films: Flywheel, Facing the Giants, and Fireproof. Stephen has spoken about his work on ABC World News Tonight and CNN and in The Washington Post and American Profile magazine among others. Currently earning a master of divinity degree from New Orleans Baptist Theological Seminary, he lives in Albany with his wife and three children.